We're happy to present you new book source available on BookLikes - it's Canadian Indigo. 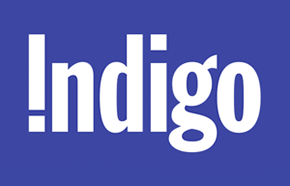 Indigo is the leading bookstore chain in Canada. In their offer you can find books in all formats: paper books, audio books and ebooks - Indigo is committed to reading regardless of the format. Indigo also takes care of kids' education and helps in creating good reading habits by providing high-needs schools with books and and learning resources. Thanks to Indigo Love of Reading Foundation many Canadian children can feel the magic of books and become true book lovers from the youngest age. Great job! We know there's quite a lot of Canadians on BookLikes but if you're not, you can also add Indigo to your book sources on BookLikes and search through their book database. Indigo ships books to 20 countries, including USA, UK, France, Germany and more. To add Indigo to your book search box, please go to Settings/Search, tick Indigo and Save.